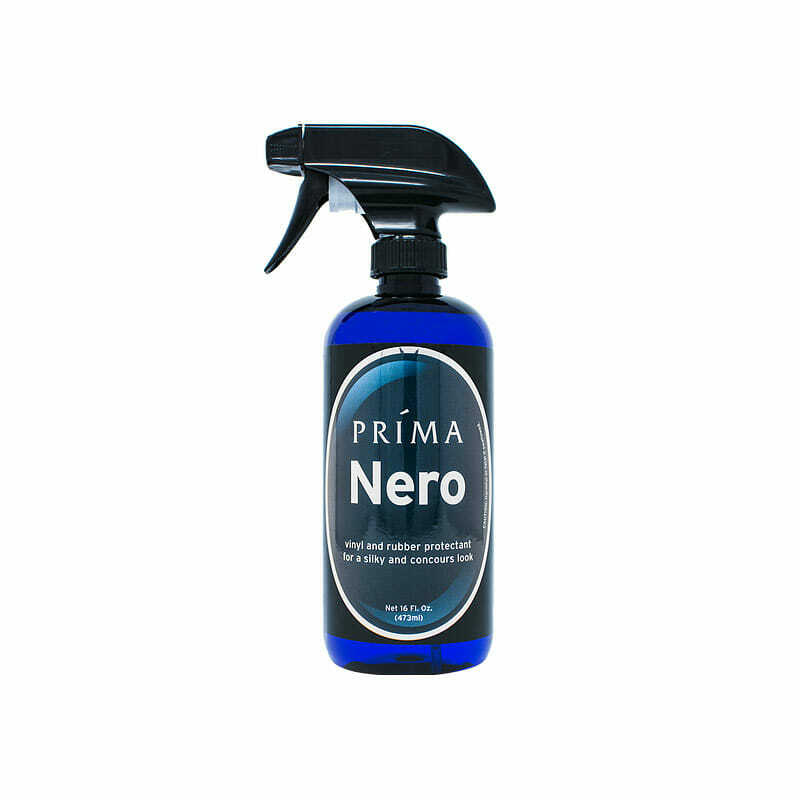 Prima Nero is a water-based vinyl and rubber protectant for both interior and exterior surfaces. The appeal of Nero is its finish: it’s a concours-look with a matte silkiness on vinyl dashes and plastic trim. Nero leaves tires with a look of newness, adding almost no gloss. If you are looking for the glazed donut shine, Prima Nero is not for you. Nero is a very versatile cleaning product that can be used on the exterior and interior of your car. Nero does not have a strong odor or smell. Once you try Nero we guarantee that you will be extremely pleased with the results and will be purchasing again. UV inhibitors help defend against sun damage. Prima Nero is detergent resistant for excellent durability.